Right from ‘Manikarnika’ to ‘The Accidental Prime Minister’, Bollywood films and controversies go hand in hand. 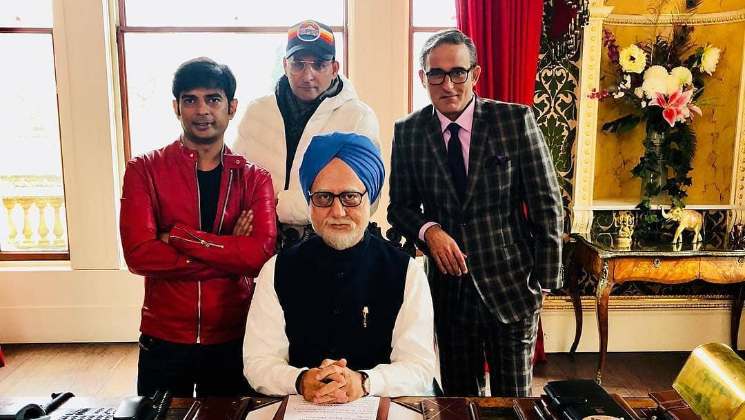 Notably, Muzaffarpur Police has lodged an FIR against actors Anupam Kher, Akshaye Khanna and 12 others on a district court’s direction in connection with the controversial film ‘The Accidental Prime Minister’. The FIR was lodged at the Kanti police station after the court took objection to non-compliance of its January 8 order in this regard. The court had on January 8 ordered police to lodge an FIR against the actors and 12 others on a complaint filed by a lawyer named Sudhir Kumar Ojha with a plea that the film presented Manmohan Singh and a number of other public figures in a bad light. Ojha, in his complaint, named Anupam Kher and as well as Akshaye Khanna, who plays the role Singh’s media adviser Sanjaya Baru, on whose book the film is said to be based upon. Others named in the complaint include actors depicting the roles of UPA chairperson Sonia Gandhi, Congress president Rahul Gandhi, former prime minister Atal Bihari Vajpayee, his deputy Lal Krishna Advani and RJD leader Lalu Prasad. On being asked, senior Superintendent of Police Manoj Kumar said that after the matter came to his cognizance, he ordered the Kanti police station to comply with the court’s order. Importantly, police have lodged the FIR under IPC sections 295, 153, 153A, 293, 504, 506, 120B and 34 which relate to promoting enmity among different groups, sale of obscene objects, insult with intent to provoke breach of peace and criminal conspiracy etc. ‘The Accidental Prime Minister’ was based on the tenure of former prime minister Manmohan Singh. The film was released on January 11, 2019.